Virtuoso Travel Week in Las Vegas showcases the world’s best hotels and hots spots from the Virtuoso collection. From the 300+ properties presented to us at Travel Week 2015, we’ve shortlisted 15 that, for reasons of design, destination or all-round desirability, captured our imagination and left us longing to lodge in. This luxurious list includes six perfect properties in Europe, two in the Middle East, four in Central and North America and three in Asia. Amenities listed for each hotel are available when booked through us. Oia-M-G!! This is what we think of when someone says Santorini. 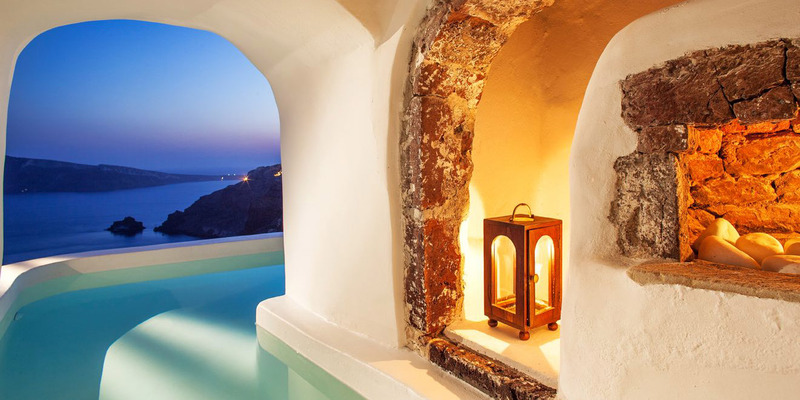 24 sparkling white cliff-side suites (plus one amazing villa), all with exterior plunge pools. Apparently the marriage proposal to “yes” ratio is exceptional (no wonder). For stays of 4+ nights, Virtuoso amenity is one private catamaran sunset tour for two any day during the stay. And that’s where you pop the question! “Fantastique” location – on Georges V between Four Seasons and Champs-Élysées. 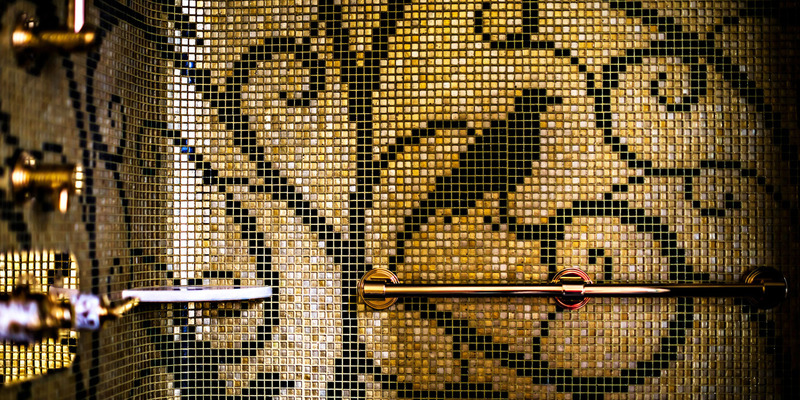 Reopened in 2013 after a two-year renovation, it retains its classic design but with a contemporary edge; bathroom buffs will adore the shower in the l’Appartement Parisien duplex suite – brass tapware with glittering gold and white mosaic tiles (pictured). Michelin-star restaurant La Scene by Chef Stéphanie Le Quellec. 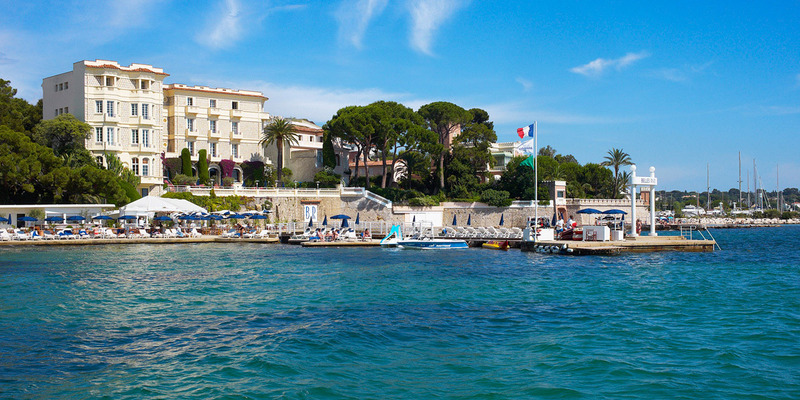 The place to be seen in the gorgeous town of Juan Les Pins on the French Riviera. 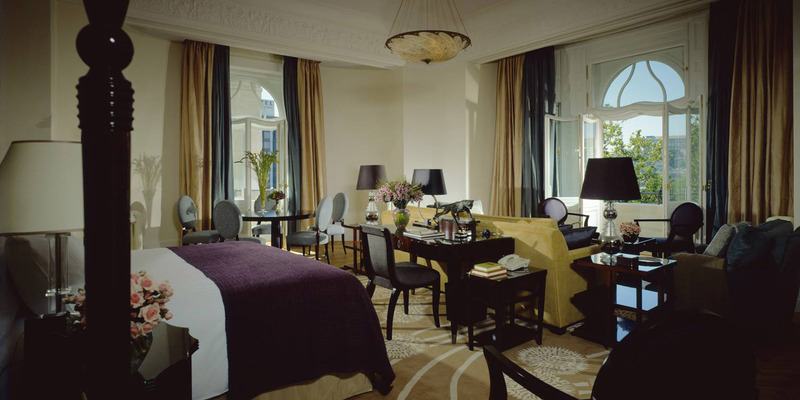 Classic design, spacious rooms, glamorous crowd. At their private beach (where, for those not staying at the hotel, a chair costs around 50 Euros for the day!) is an amazing water-sports club, where kids can learn how to waterski, and a very chic beach restaurant and bar. 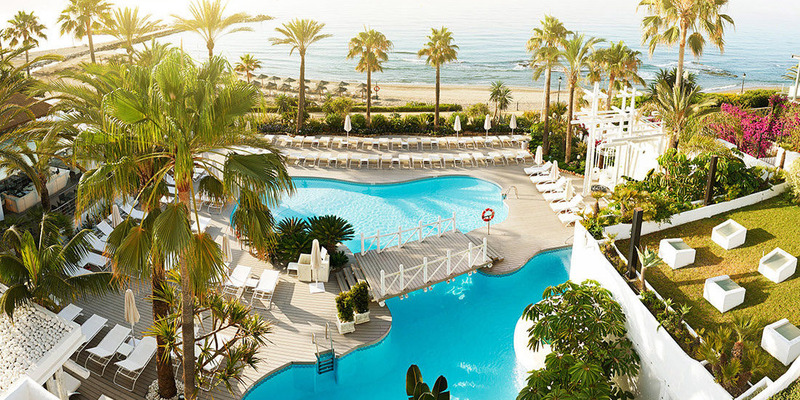 White-washed beach resort on Marbella’s “Golden Mile”. Amazing facilities, including a Six Senses Spa, 9 restaurants (one of which has a Michelin Star) and 10 tennis courts with serious on-court cred: Novak Djokovic trains there when he stays over Christmas every year! Just when you thought the Italian countryside couldn’t get any more charming, enter Salvatore Feraggamo’s grandson, of the same name. 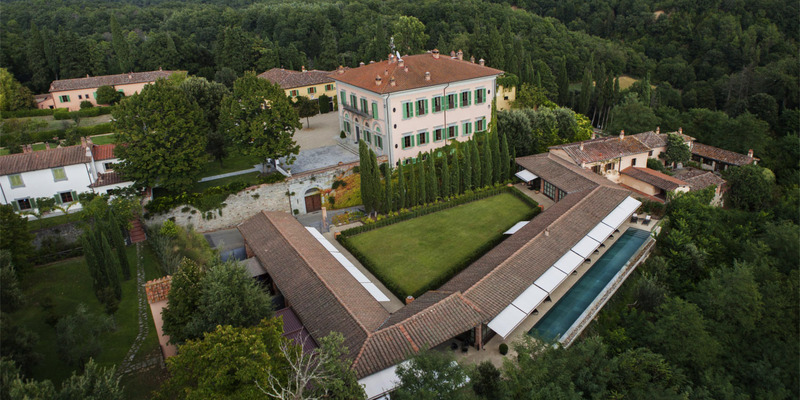 The handsome Tuscan estate, at which the famed shoe designer’s equally handsome grandson will greet you, comprises exclusive villas, farmhouses, vineyards, olive groves, shops and a church. While the Virtuoso amenity isn’t a pair of SF shoes, spending time at the Ferragamo family’s stunningly restored village will not disappoint. In a restored landmark building (featuring original details) at the foot of the historic Chain Bridge. Close to business district, cultural sites and boutiques. Four Seasons guests have access to nearby Brody House, a private members-only club (think Soho House). Enjoy the studio exhibitions, sensational bar and dining as you rub shoulders with every celebrity currently in town (this is where they all hang!). 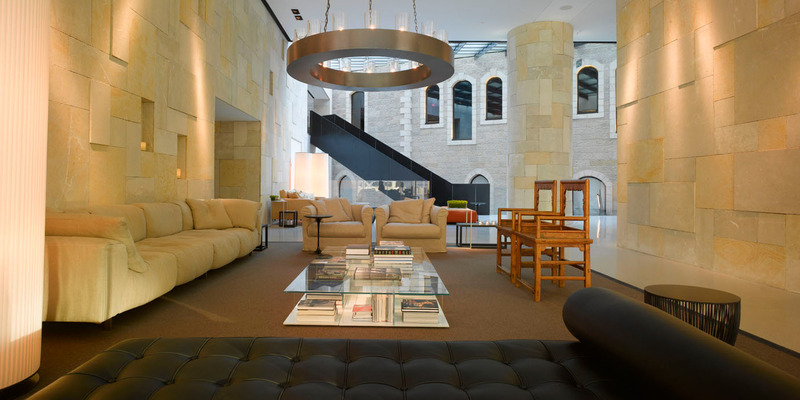 Designed by Moshe Safdi, arguably one of the world’s most significant modern-day architects, and designer of Yad Vashem Children’s Holocaust Museum in Jerusalem, in conjunction with equally renowned Piero Lissoni. Exceptional design on an extraordinary scale; from the huge black staircase in the middle of the hotel entrance, to the volumes of stone used throughout. 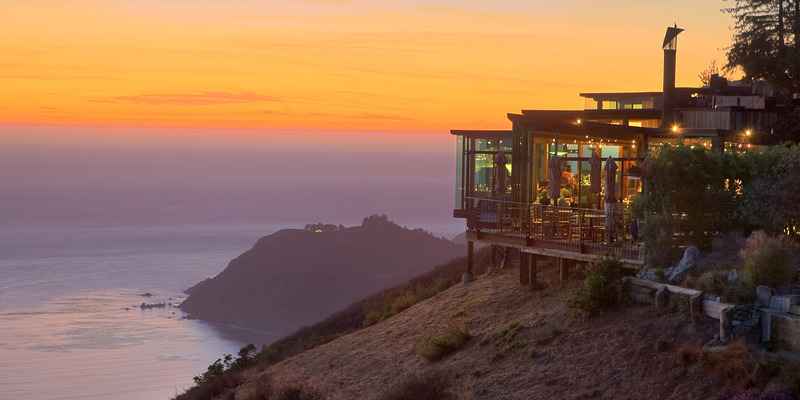 Big Sur splendour. Every room features stunning ocean and mountain views, a fireplace, spa tub and deck. There are three heated infinity pools and a seriously amazing restaurant (Sierra Mar) for when you do feel like venturing out of your private cliff side sanctuary. Or you could always get room service! A week long health and wellness retreat designed to help you reach your detox or weight loss goals with nutritional and fitness programs. A “luxury” bootcamp with serious PR cred – we’ve read so many articles in Harpers Bazaar, Conde Nast, Vogue Living etc – and impressive results to back it up. If a ‘detox retreat’ is your thing, this is pretty much as good as it gets. 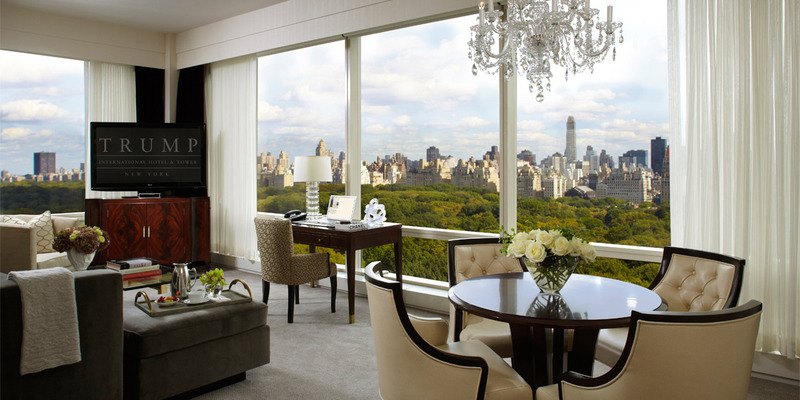 A great option for clients wanting to stay ON Central Park. Where Midtown meets the Upper West side, meaning some of the best access to Broadway, museums, shopping (Bergdorfs is a 15-min walk to the opposite lower corner of Central Park), Times Square (8 blocks) and more… not to mention spectacular views. 90% of rooms have full kitchens, so perfect for anyone spending a bit more time in the city. Jean Georges dining throughout (including to your room!) and a beautiful rooftop restaurant and bar designed by Philippe Stark. A gorgeous beachside estate with just 17 private villas, all designed and furnished in their own colour. This is a beautiful retreat for couples/families who want to relax and not move. 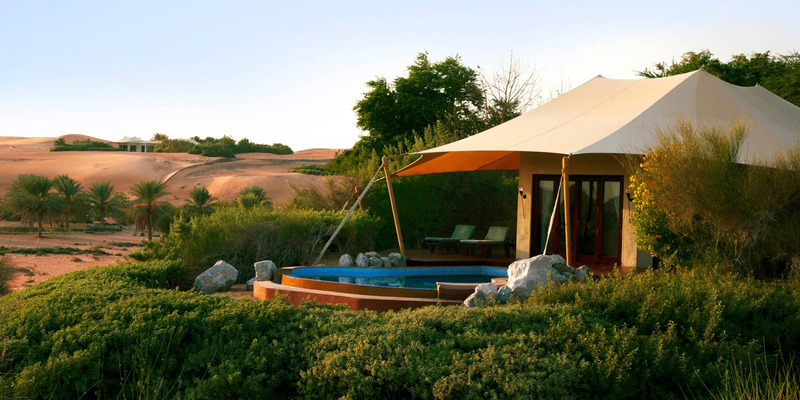 Great food, very private villas and also some lovely communal spaces around the expansive grounds. A good add on for anyone spending time in Puerto Vallarta – it’s a 2.5 hours drive. Following renovations, back in operation as of 1st November with refurbished Banyan Pool Villas (all with private pool and outdoor bath), two new restaurants by Spanish chef Alfonso De La Dahesa. 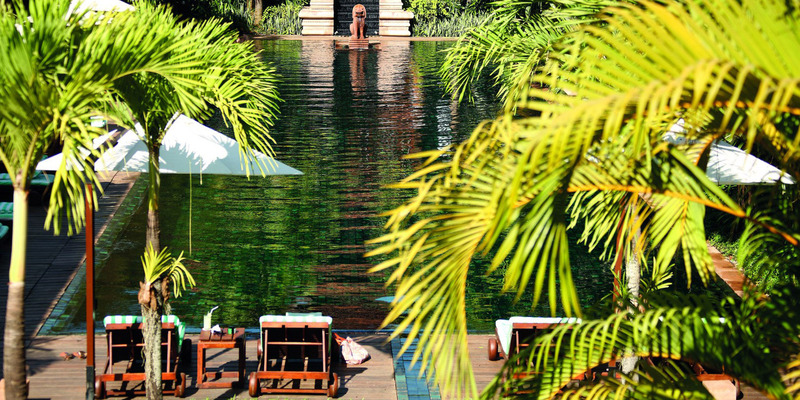 The perfect mix of local love and Belmond bliss at this tropical oasis in the heart of Siem Reap. 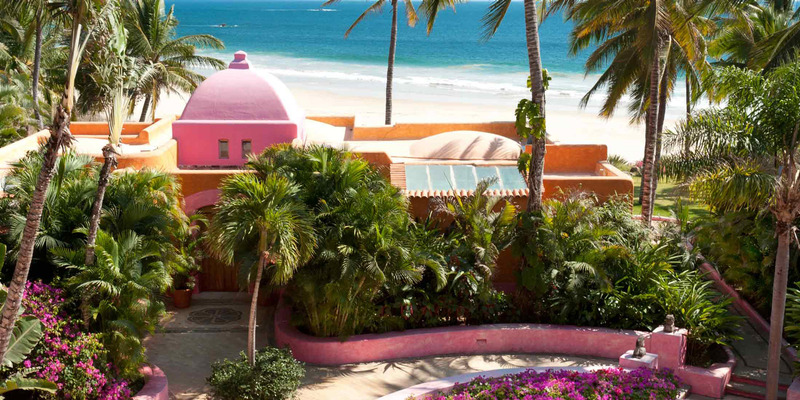 Clients will love the two great restaurants and a bar headed up by Mexican Chef Saul and tranquil Kong Kea spa… a stay here spoils all the senses. 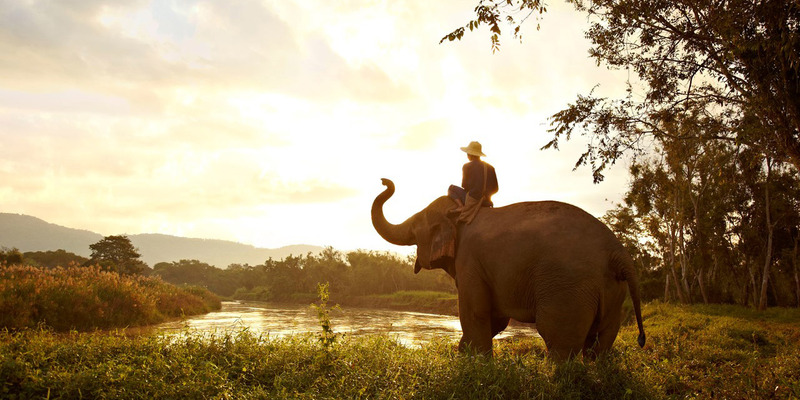 Five new family suites: this property is brilliant for kids, who will love impromptu visits from elephants at mealtimes and the chance to visit the camp. Rates include airport transfers, all meals, house wine and beer, minibar, plus your choice of daily activity (spa treatment, tour of elephant camp, cooking class etc). 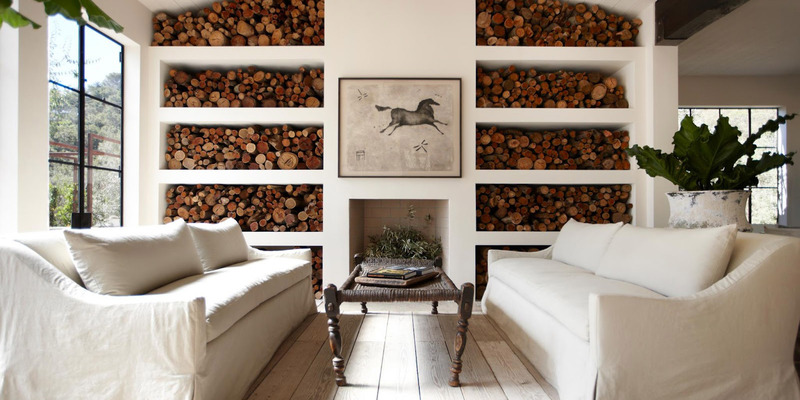 ROOM STYLE: Eclectic. No two of its rooms and suites — mixing Tibetan rugs, English settees and Moroccan tiles with vintage books and flea-market antiques — are alike. WE LOVE: The new three bedroom TriBeCa penthouse suite. INSIDER TIP: The hotel exudes confidence, it’s best suited for people of a similar set. The Greenwich is instantly welcoming and irresistibly charming. Eclectic furnishings and adornments throughout give the rooms a personal feel and on frequent returns from sightseeing and shopping, one feels like they’re coming home or visiting a friend… a friend with a stunning assortment of books and artwork, displayed and shared for your use and enjoyment. Walking in I feel like I’m entering someone’s (very well decorated) NYC apartment. Located in trendy TriBeCa – itself abuzz with life, restaurants, galleries, and very tasteful shopping (at a price) – the hotel is within easy walking distance to downtown, the 911 Memorial, the High Line, the new Whitney Museum of Modern Art, and SOHO’s shopping streets (suggest a $10 taxi ride home with the loot). For a hotel with dozens of design distractions, the revel is in the detail. The Greenwich thoughtfully offers complimentary WiFi, mineral water, craft soft drinks, and sweet snacks. The bed is so dreamy, it almost renders the preceding paragraph irrelevant. 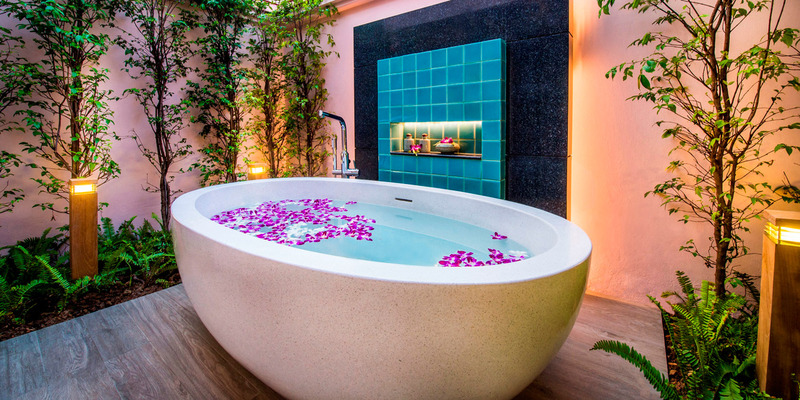 The new three bedroom Penthouse was outstanding – very organic in design – and boasts a terrace retreat, large enough for entertaining, and with private spa pool for parties of two! DINING: The Hotel’s internal courtyard – a green, private oasis – makes the perfect breakfast base. Weather dependent, all meals can be served either in the courtyard or the terrace area adjoining the bar/sitting area. Locanda Verde is a casual style, open-kitchen taverna, described “offering a whimsical take on traditional Italian”. It’s buzzingly busy, serving lunch and dinner well into the night. Did we mention it’s Robert De Niro’s hotel? The people watching in the drawing room is as much fun as getting into bed.